Author of Red Legs of the Bulge: Artillerymen in the Battle of the Bulge. 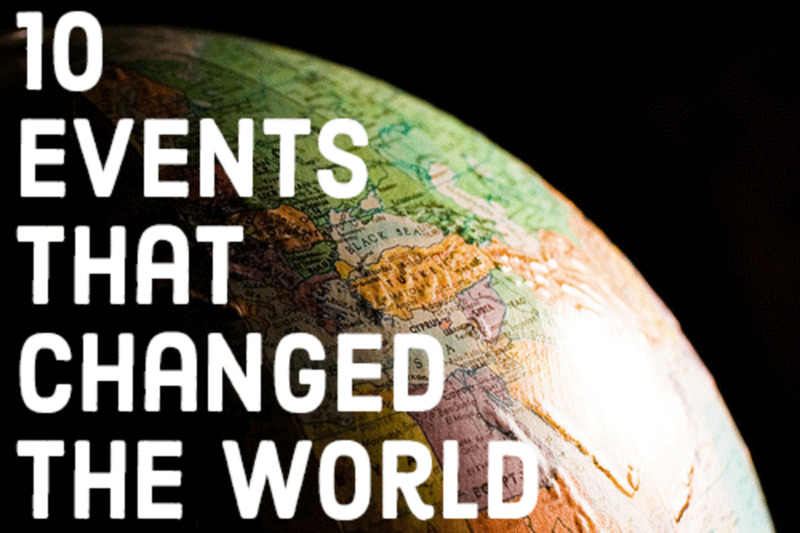 Passionate about history and the people who make it. Every nation has its heroes and battles that become part of the national culture. A myth builds up around them. New lexicons emerge. Books are written. Movies made. Nowhere is this more the case than in the legend of George Armstrong Custer and The Battle of the Little Bighorn. Better known as Custer’s Last Stand, it is still embedded in the national psyche the way Pearl Harbor and Gettysburg continue to be. 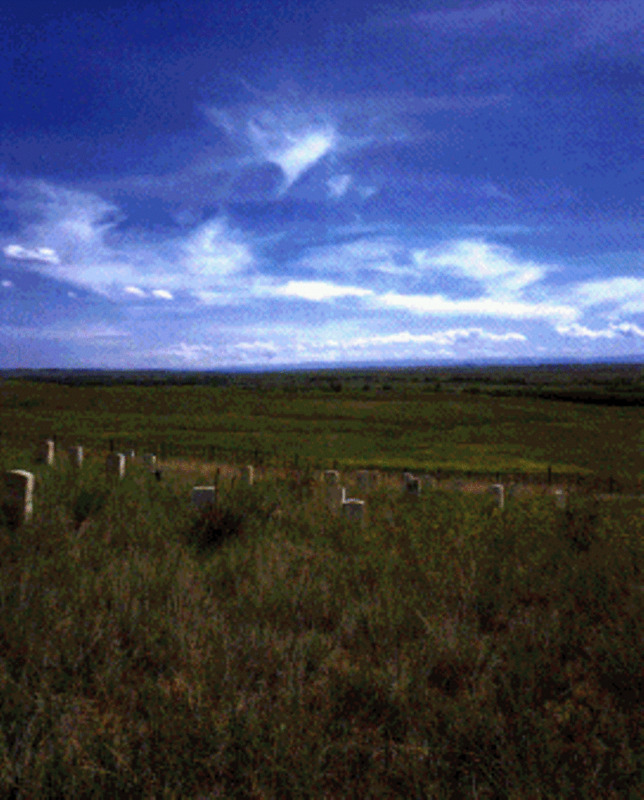 The death of Custer and his battalion of 210 men from the 7th Cavalry Regiment shocked the nation. Occurring on the late afternoon of June 25, 1876, just days before the Centennial celebration, the timing could not have been worse. Since his death, he has been viewed as a hero, patriot, egomaniac, racist, good soldier and most recently, just a man of his time. Thankfully, his Native American opponents have come to be viewed in a different light as well. Once seen as a wild band of savages, the Sioux nations are now considered to have been a people just fighting for their existence in a rapidly changing world. The overwhelming victory gave Sitting Bull, the Hunkpapa Sioux Chief, notoriety. But that only forestalled the inevitable. It also made him public enemy number one. The battle had been a long time coming and it was really the Sioux’s last hurrah on the open plains. In some ways, Custer’s defeat at the Little Bighorn was his destiny. He was always a bit reckless in action and words. His boldness was based on military insight; something innate that did not reflect in his poor academics at West Point. Many of his officers commented on how he studied a battlefield, getting to know the terrain intimately. This last campaign was different. 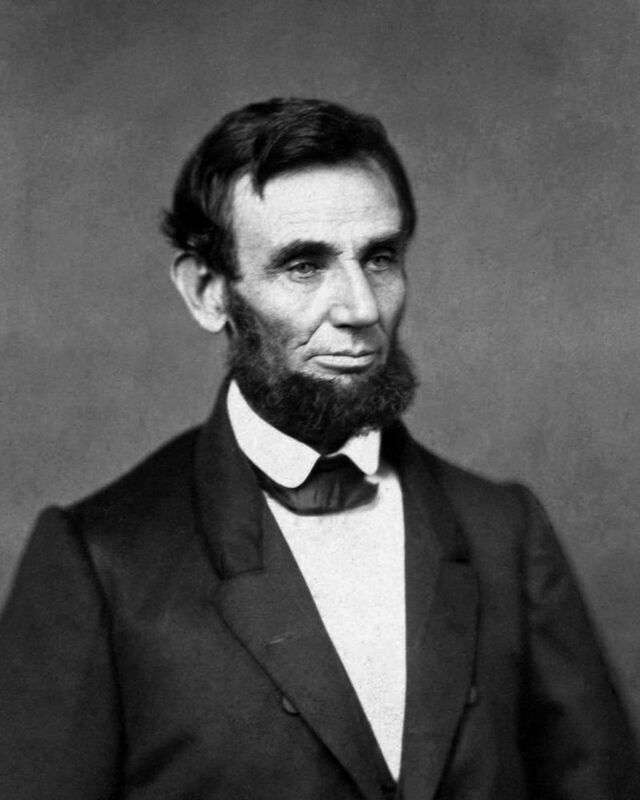 He underestimated his opponent, and many spoke of his changing demeanor during the march from Fort Lincoln. What was bothering him? The usual military matters troubled him: supply, horses and disagreements over strategy; nothing unusual about that. A self-reflection seemed to be creeping into his psyche in late May and early June of 1876. Was he just tired? There were his fellow commanders, Major Reno and Captain Benteen. Both disliked their flashy colleague. Was he just tired of it and keeping his distance? 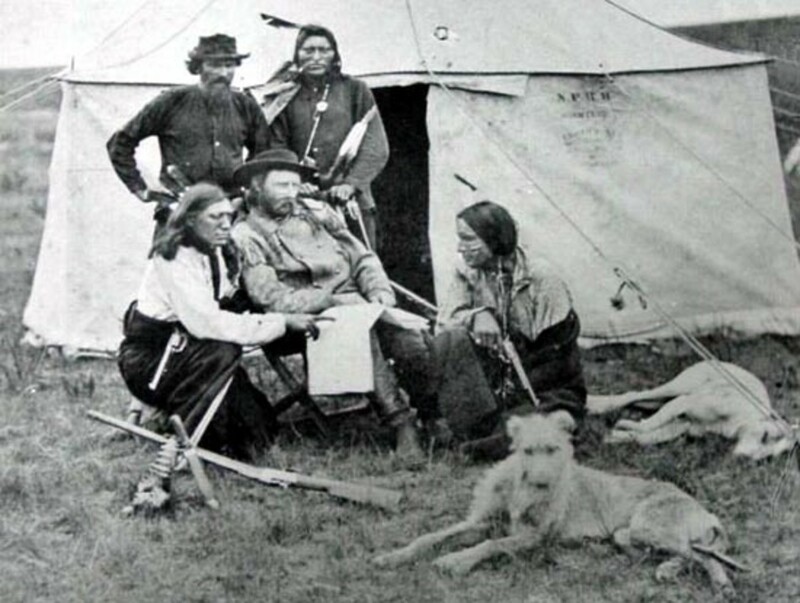 One officer described speaking to Custer in his tent days before the battle. There was an empty stare that lingered too long. The men had never seen that before in their usually confident, talkative commander. Something weighed on him. The ups and down of the past two months had taken its toll. But there were others, mostly the enlisted men, who saw Custer as the same old swashbuckler they had come to know and love. Several times throughout June he had talked about pulling away from the expedition and winning a great victory. Could he have been driven by an obsession to make amends for a humiliation from the President? To find an answer, one has to study the man himself and his changing fortunes in the first half of 1876. Custer was always described as a man with a flair for publicity. The long blond hair and thick mustache that came down around the corners of his mouth made him stand out even in an era of almost ubiquitous facial hair. The collars on his cavalry uniform were upturned and he wore his hat rakishly, usually tilted to the right. Despite the histrionics, he was a complex figure. Equal parts chivalrous and vain, he could be ruthless towards his enemies (both Confederate and Indian). Depending with whom you spoke, he was both loved and hated. That was not surprising. He was also obsessed, many thought, with being the hero. Despite graduating near the bottom of his class of 1861, he emerged a hero from the Civil War, becoming the Union’s answer to Jeb Stuart, the famed Confederate Calvary commander. 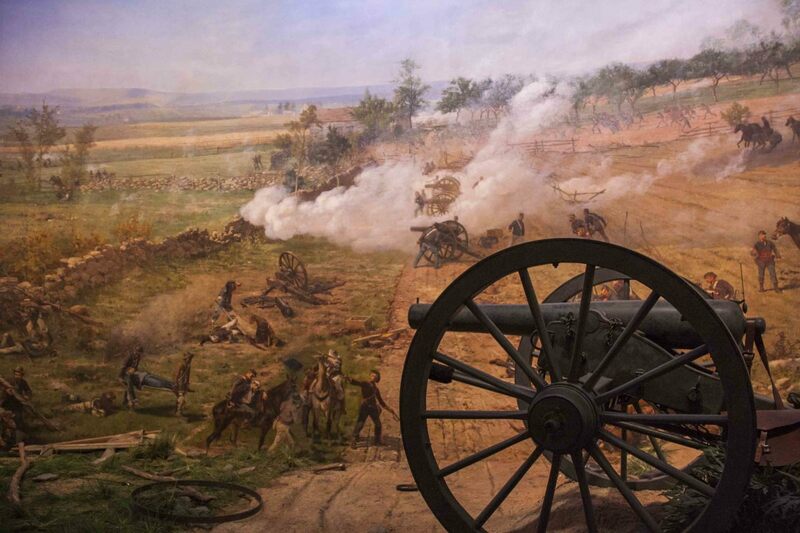 Some historians feel he saved Gettysburg for the much criticized General Meade. He cut swaths through many a skirmish line. He finished the war a general, but that was a brevet rank, and he soon returned to the rank of captain. The next ten years were filled with as much adventure, despair and turmoil as any man could have. In 1867, he was even court-martialed for being AWOL. He had left the post to go see his fiercely loyal wife Libby, who was sick. He got off with a year’s suspension, but he had a powerful friend in General Phillip Sheridan, so Custer was able to come back by mid-1868. In the struggle for the West, being unconventional was the only way to be. The 7th Calvary needed a man like Custer, flaws and all. Charging headlong into his opponent had become a way of life for him. At the Battle of the Washita in 1868 (Oklahoma), it almost cost him a command. Many of his fellow officers felt he needlessly risked the lives of his men by just taking off into the fight. One of those officers, Frederick Benteen, would be with Custer at the Little Bighorn, but survive. Though he was later credited with saving the remnants of the regiment, it was Benteen’s refusal to take bold action that many believe led to Custer’s death. The 19th Century western frontier was a tough place. Life could be short and brutal. The US Army reflected that. Corruption was rife; as was drunkenness. There was the usual collection of desperate men, and glory-seekers, sprinkled with the occasional idealist out to do his duty. And that was just the officer corps. The enlisted ranks read like a foreign legion, with the ranks filled out by newly arrived Irish and Germans, along with a few Italians. It was not unusual to find men who had fought with Garibaldi in Italy during their war of unification. In fact one of Custer’s most trusted officers, Myles Keogh, an Irish immigrant, had fought in the Papal Army during that conflict. Custer had almost left the army several times in the wake of the Civil War, but each time he persuaded himself to stay. As the mid-1870s came, he lived his life like a man possessed. He needed one more big battle to silence his critics and rivals. Then he could leave the Army and go work for the all powerful railroads or maybe a mining company. A fortune was just waiting to be made. He and Libby could live a life of luxury. All he needed was one last glorious campaign. But in 1876, a new problem surfaced, one that has been overlooked by many: the Trading Post Scandal. New enemies emerged in the form of Washington Bureaucrats, and even the President, Ulysses S. Grant. When politicians and the military tangle, the result is usually the damning of reputations. This time, it may have cost lives. 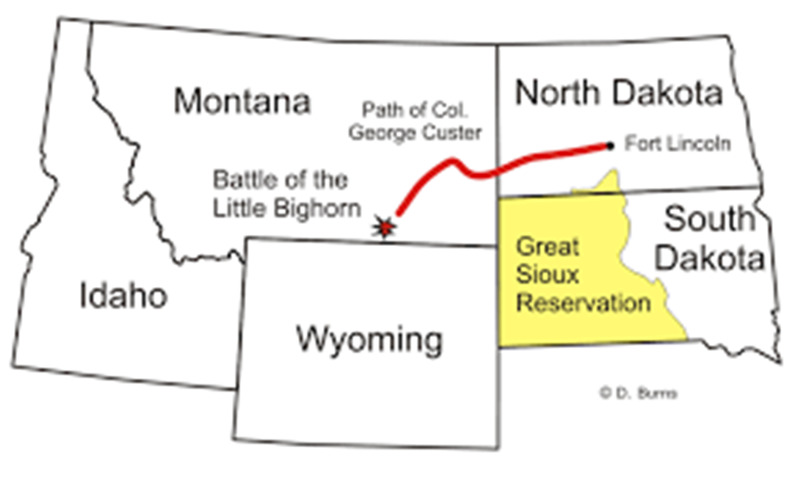 In March of that year, Custer left Fort Lincoln (South Dakota) for Washington to testify before Congress about the scandal involving the Secretary of War, William Belknap. It involved a kickback scheme in which Secretary Belknap and a civilian contractor to the military received payments from a merchant at Fort Sill, Oklahoma. As a result of the hearings, the campaign against the Sioux was put on hold. We hear the term “civilian contractor” a lot these days when it comes to the military, particularly for the Army. They now handle much of the mess duties, transportation and even external security in some hot spots. Many would be surprised to hear that the US Army of the 19th Century used them as well. They were called sutlers. Sutlers were private contractors who were awarded what were termed traderships at Army posts. This wasn’t a candy store franchise; these men ran the supply store. It was akin to being the de facto quartermaster on post. It was a lucrative business and became even more so during the Civil War. Goods were sold at higher than market prices. The soldiers had no other options. They couldn’t run to the mall in the next town. The traders also did an illicit business with the tribes, selling them weapons and other goods that were later used against the troops. In an ironic twist, the Sioux warriors at the Bighorn were better armed than Custer’s men. In the early 1870s, Congress gave the exclusive power to appoint post sutlers to the Secretary of War. In 1870, at the urging of his then wife, Belknap gave the trading post contract for Fort Sill to a man named Caleb Marsh. But there was one problem: the Fort already had a sutler named John Evans. They came up with an ingenious solution. A partnership was formed in which Evans kept the trading post, with the provision that he give Marsh $12,000 a year in profits (through quarterly payments). Marsh then had to split that in half with Belknap’s wife. This was an enormous amount of money for that time. $12,000 a year in 1870 converts to about $120,000-130,000 annually today. Like all good schemes, news eventually would leak out. Belknap’s wife died later that year, but her husband kept accepting payments for the “care of their child.” Then the child died in 1871. Still, Sec. Belknap kept receiving money. After he remarried, the cash flow continued. The plot was finally exposed in 1876, leading to Belknap’s resignation. 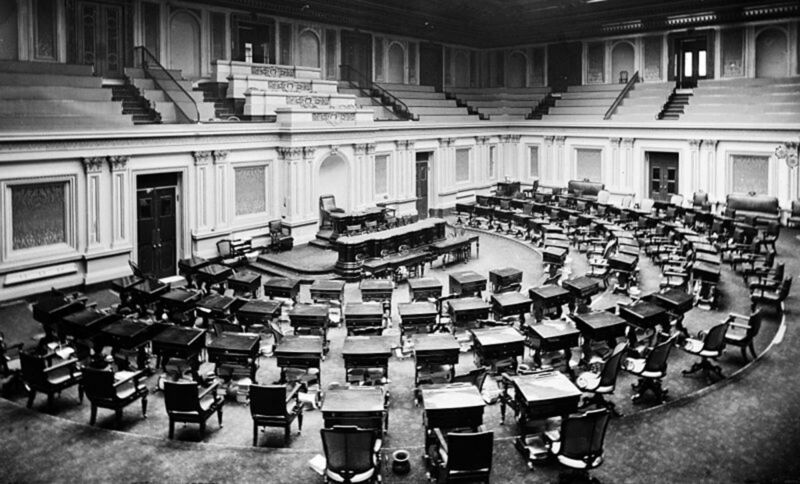 Articles of impeachment were drawn up and a trial ensued. Amazingly, the Secretary was acquitted, based mostly on a technicality about the timing of his resignation. 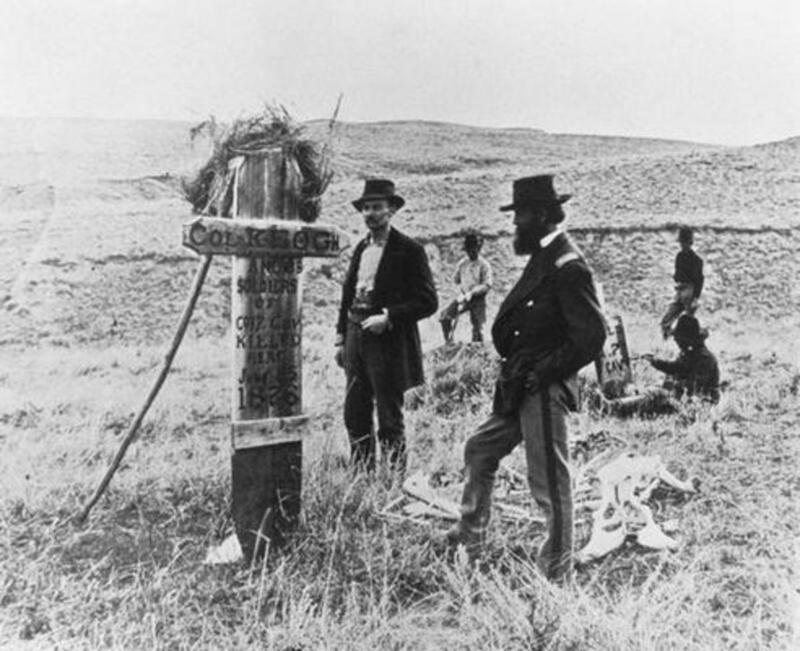 But it was the investigation into the matter that strained relations between Custer, Grant and many others. A series of articles in a New York newspaper exposed the schemes, using what we would term today as anonymous sources. One of those sources was rumored to be George Custer, with an accusation that he may have even authored one of the articles. 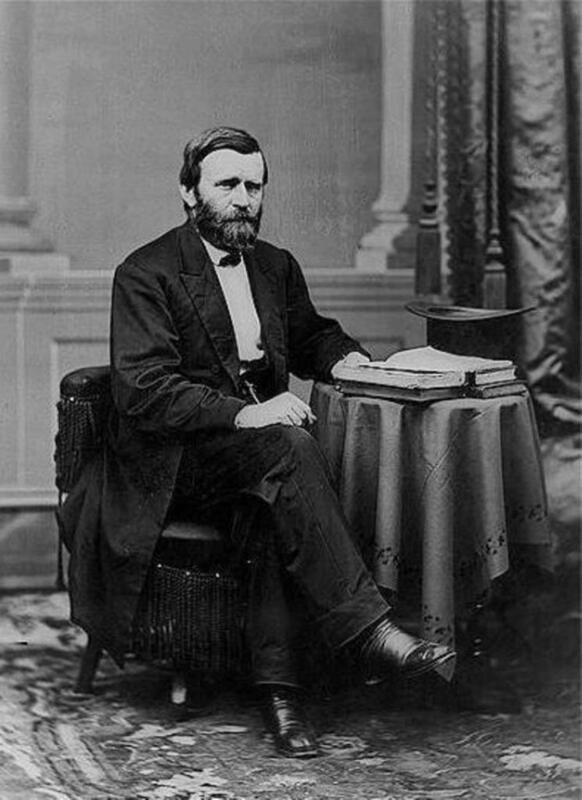 He was called to testify for the first time on March 29, 1876 and then on April 4. His testimony was earth-shaking as he went on to describe what he felt was going on at his own post, Fort Lincoln. 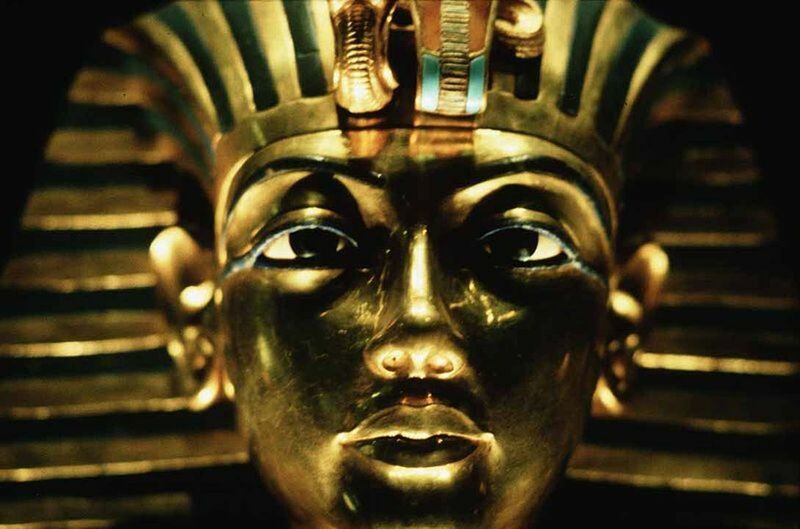 During the prior year, he noticed that his men were paying higher than normal prices for their goods and supplies. Upon looking into the matter, he found that the sutler was only getting $2,000 for every $15,000 of profits. Custer made the connection that the other $13,000 was going to either some illegal partnership or the Secretary himself. But then came the real dirt. He stated that Orvil Grant, brother of the President, was one of the culprits. Orvil had been an investor in what appeared to be legal partnerships with three trading posts, one of them supposedly Fort Lincoln. I think it’s safe to assume there were audible gasps in the committee that day. He told the committee that a fellow officer, who had tried to expose these arrangements, had been transferred against his wishes. Even his staunchest ally, Phil Sheridan, was angered with this last bit. As his testimony ground on, Custer continued with accusations. 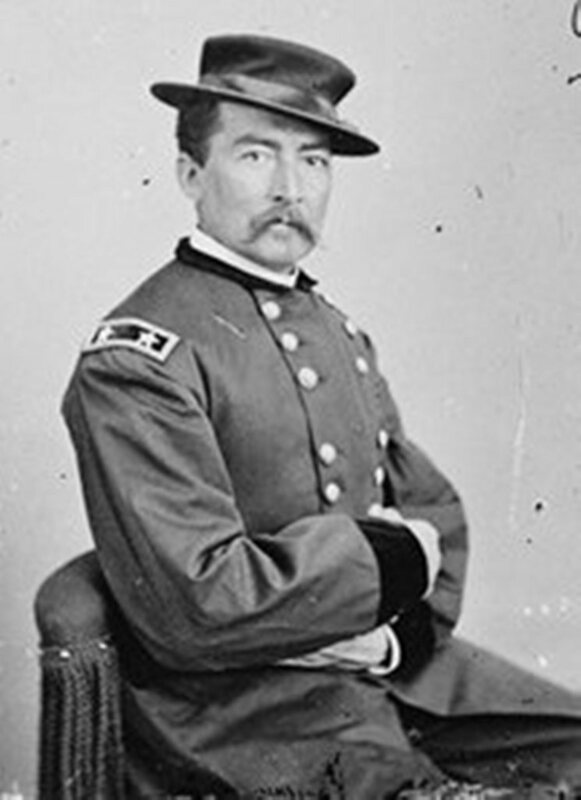 Major Lewis Merrill of the 7th Calvary, a Civil War veteran (brevetted brigadier general) and the man who was given credit for almost destroying the KKK in South Carolina after the War was accused of taking a bribe many years before at Fort Leavenworth. Merrill responded vociferously, with letters to the editors of many newspapers. The dominant members of this committee were Democrats with Southern sympathies. Merrill was not popular with these men. His promotions had already been held up because of his tough stance during Reconstruction. So this charge may have been a way for Custer to ingratiate himself further with those Congressmen. In all likelihood, Custer truly believed that Merrill had taken the money. He had previously accused Merrill of stealing band equipment in 1874. There was never any evidence of a bribe. Merrill was vindicated and went on to continue his stellar career. However, he did not receive his promotion to Lieutenant Colonel until the year he retired. Custer also testified about the “corn story.” A shipment of corn had arrived at Fort Lincoln earlier that year. Custer determined at the time that it was meant for the Indian Department, which ran the reservation nearby. Apparently he saw this as an attempt to sell the corn to the Army for a profit because the Army could have been charged at a much higher price. But the real problem was his claim that he wrote a report and passed it on to General Alfred Terry (his immediate superior), who supposedly passed it up through the normal channels (Sheridan, Sherman, etc.). Custer claimed that he received orders from Belknap (through Terry) to receive the corn. The problem was that Terry never sent the report out to anyone. Terry stated he made an inquiry on his own and determined the corn shipment to be valid. For a man such as George Custer, to whom honor was everything, this was a slap in the face. By not sending the report and letting Custer believe he had, Terry made Custer look silly. The attitude of the press was mixed. Many newspapers in those days did not hide their political biases. It was not uncommon for editors or reporters to sway a story at the behest of a Congressman or Senator. Insinuations were made throughout an article. Payments to the press were not all that unusual. So it’s not surprising to read the press clippings about Custer’s testimony and see him called a liar. Speaking with reporters after the testimony, the Secretary stated that Custer had testified “like one spurred by a grievance.” Some of his testimony was called a “virtuous story.” At best, Custer was portrayed as an overly chivalrous officer who had taken offense too easily. One story published in the New York Times called his chances for promotion dim. Whether or not Custer knew immediately of the hornet’s nest he had just stirred up, we don’t know. It’s hard to imagine him not being aware of the criticism. Reporters would have certainly sought him out during his stay in the Capital. His testimony had the desired effect, at least temporarily. Belknap was indicted. After waiting in Washington for almost two weeks, Custer was told by Congress, he was no longer needed. He had friends in New York and with the Centennial celebration upon the country, he decided make a couple of stops. He was back in D.C. by the 21st and prepared to leave for Fort Lincoln. However, he was stunned to find out he had been accused of perjury by some members of the press. As per usual, his fellow officers were leading the charge against him. 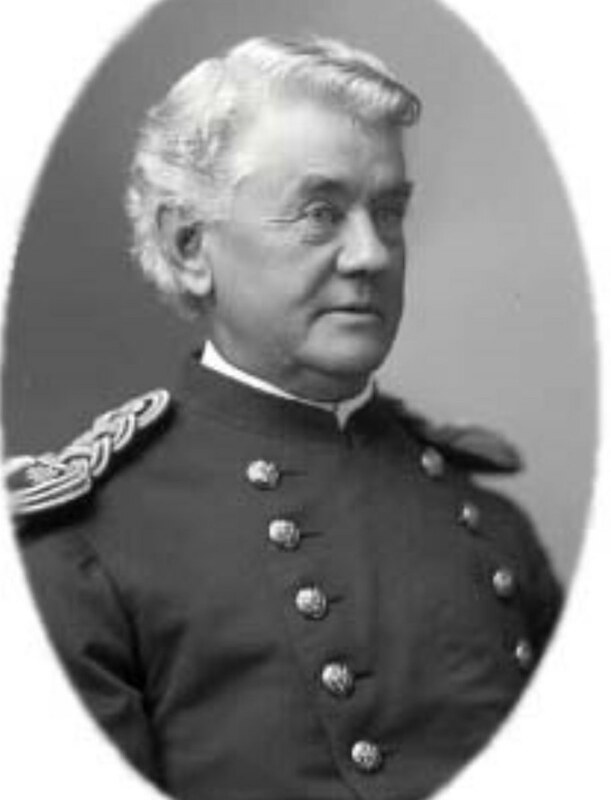 Nevertheless, Sherman asked the Secretary of War for his release to Fort Lincoln in order get the campaign under way. 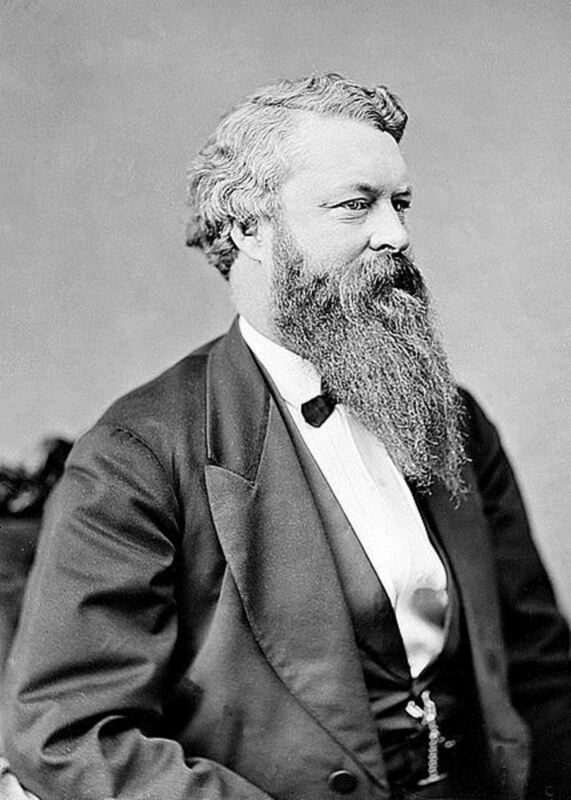 Grant, who by now was furious, personally stepped in and told Secretary Taft (who replaced Belknap) to appoint a new commander of the expedition. Custer was going nowhere. To accuse the relative of a sitting President of illegalities was beyond contempt to Grant. He had given his blessing to the deals. In his mind, they were perfectly legal. 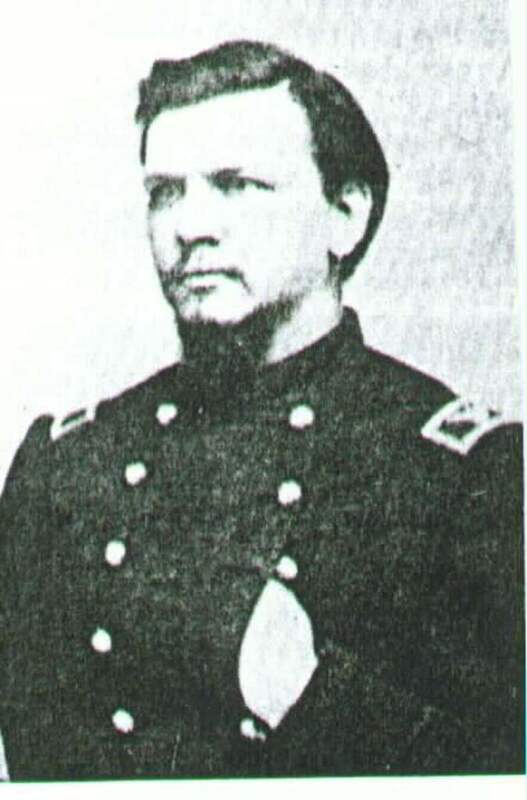 Sherman informed General Terry, who had been appointed to lead the expedition against the Sioux, that he would have to make do with a new commander of the 7th. Custer was shocked. He was going to be robbed of his chance for redemption. Desperate, he sought out members of the committee to secure his release. 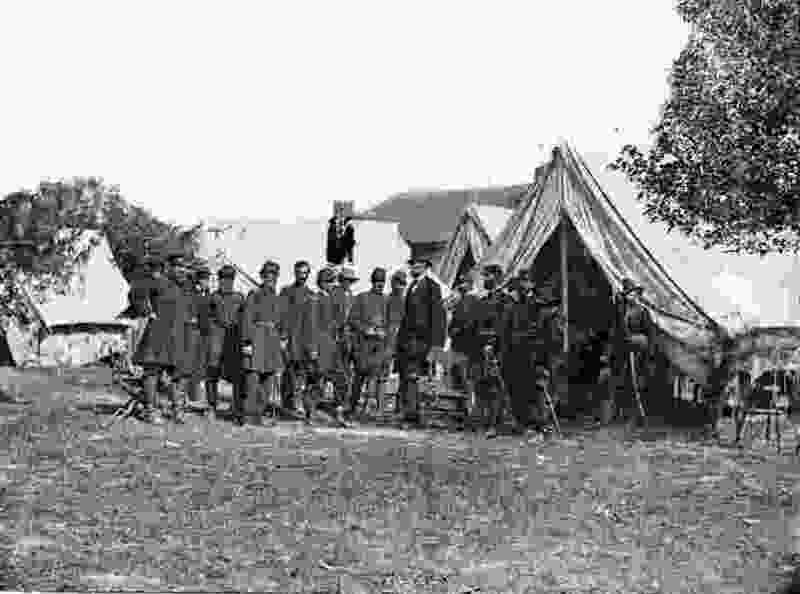 Before he left, Custer was told by Sherman to see the President. Through an intermediary, Custer sent word to the White House requesting a meeting. Grant refused. Left with no place to go, he departed for Chicago, and then on to Ft. Lincoln. The drama did not end there. 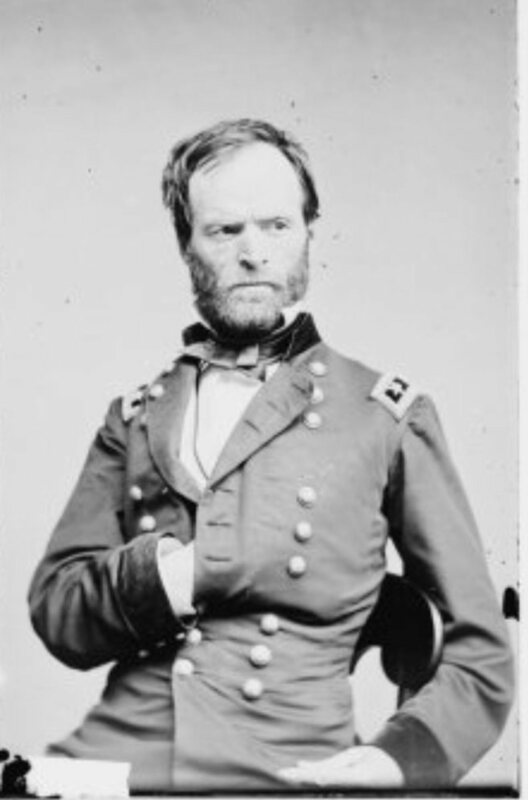 Upon arrival in Chicago, he was arrested per orders of Sherman. 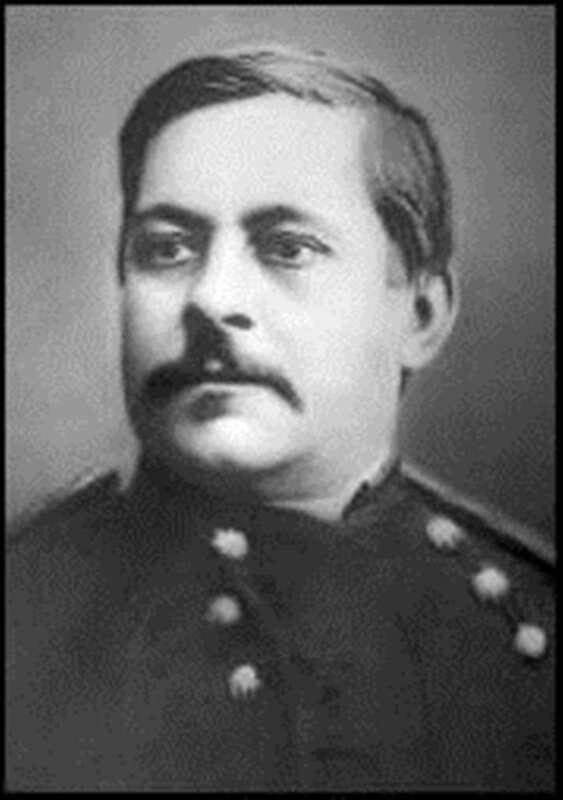 Sheridan not only had the distasteful duty to arrest an officer he admired and a onetime protégé’, but he had to order the soon to be infamous Major Marcus Reno to replace Custer. Custer was brought to Fort Snelling, Minnesota to meet with General Terry. The look of despair on Custer’s face was stunning. A sense of pity fell over Terry. A man of such boundless energy and confidence had been reduced to pleading for his career. And Terry wanted Custer back. Polar opposites in temperament, he knew defeating the growing numbers of Sioux who were leaving the reservations required boldness. He would plead for Custer’s return. Sheridan and Sherman endorsed the effort. As was true throughout his career, just when things looked darkest, Custer’s luck turned. Public pressure of the perceived poor treatment of an American hero caused Grant to reverse his stance. With the Centennial upon the nation, America needed to fulfill its destiny to tame the wild lands of the American west. Grant had misgivings about the treatment of Native Americans, but politics was politics. Failing to secure a victory against the Sioux that summer would erode his public standing even more. Putting aside his moral sympathies, he acquiesced. By the middle of May, Custer was back in command. Within days he was back at Fort Lincoln, and prepared to lead his men against the Sioux and Cheyenne. Trouble had been brewing in the Great Plains all spring. 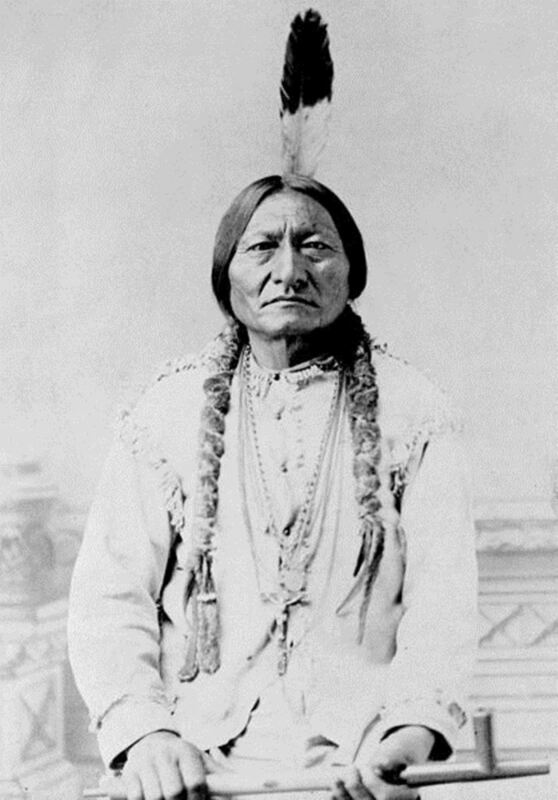 While the Army was immersed in the politics of Washington, Sitting Bull was growing in strength. Rumors were rife all over eastern Montana territory. Young warriors began flocking to his growing band. 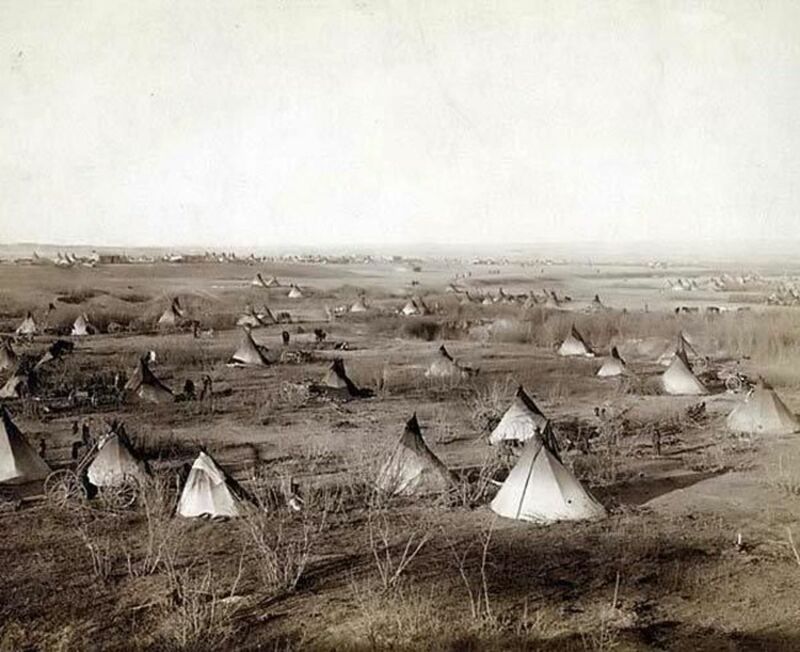 Cheyenne warriors began arriving as well. No one seemed to know where Sitting Bull was. The Army sent out patrols to no avail. Ascertaining the size of his band was impossible. Long depressions in the grasslands were seen and the trail was picked up. They lead nowhere. Tepee poles were found strewn along the route. Still no sign of life. How big could they be? They could not challenge the 7th Calvary, could they? The plan was for a large pincer movement with the 7th Calvary coming from the east, Colonel John Gibbon coming from the northwest and George Crook coming up from Wyoming. 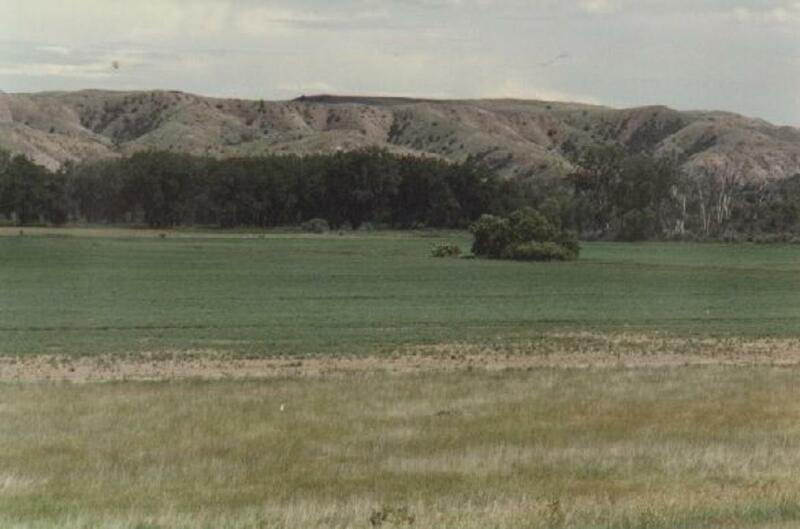 While the 7th marched due west, on May 28th, General George Crook led his men in the Battle of the Rosebud just south of the Bighorn, where approximately 2,000 Sioux and Cheyenne warriors led by Crazy Horse took on Crooks’ 1,000. 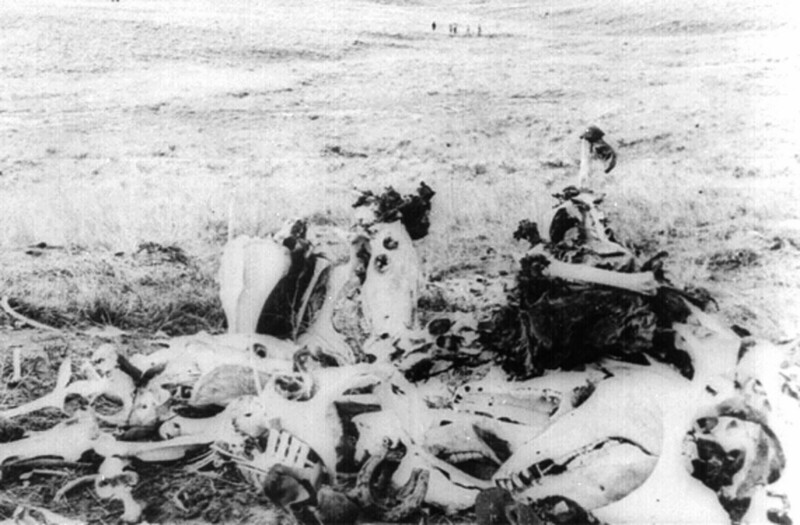 The fierceness of the Indian resistance caused Crook to withdraw with heavy casualties. He then retreated to Fort Sheridan. Word never reached Custer. Gibbon was somehow delayed as well. The now bloodied Sioux and Cheyenne warriors, full of confidence, prepared for more fighting. Within a month, Custer was dead. So were two of his brothers and many of his long-serving men. A reporter along to record the great victory (despite orders to the contrary) had been killed as well. The reasons for the disaster are many. 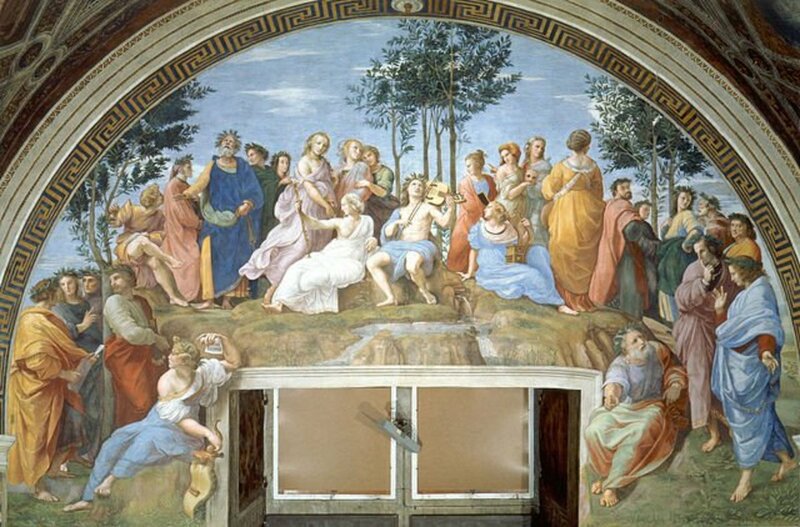 Like so many great events in history there was not just one factor, but a confluence of events, that lead to the defeat. How much Custer contributed to his own demise is still up for debate. He was mercurial; that’s not always a great quality in a military man leading a complex campaign. Was he really a desperate man? Certainly. Did the delays in getting the campaign started allow Sitting Bull to muster enough men for one last battle? There’s no doubt about that. If the campaign had started in late April, the Battle of the Little Bighorn would have been a footnote in history, if it had happened at all. 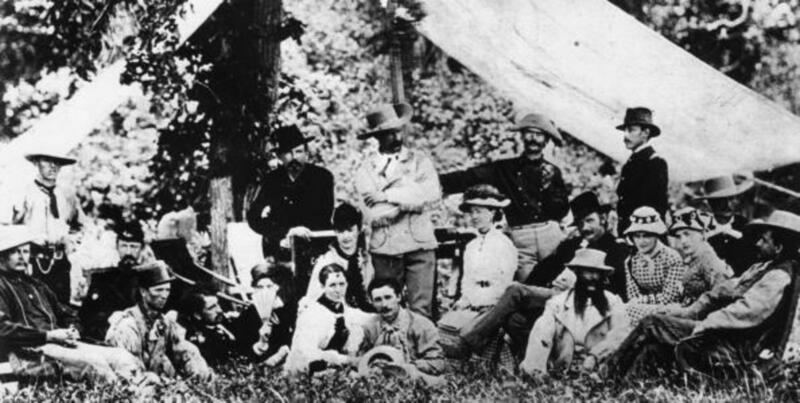 Custer with his chief scout, Bloody Knife (left). 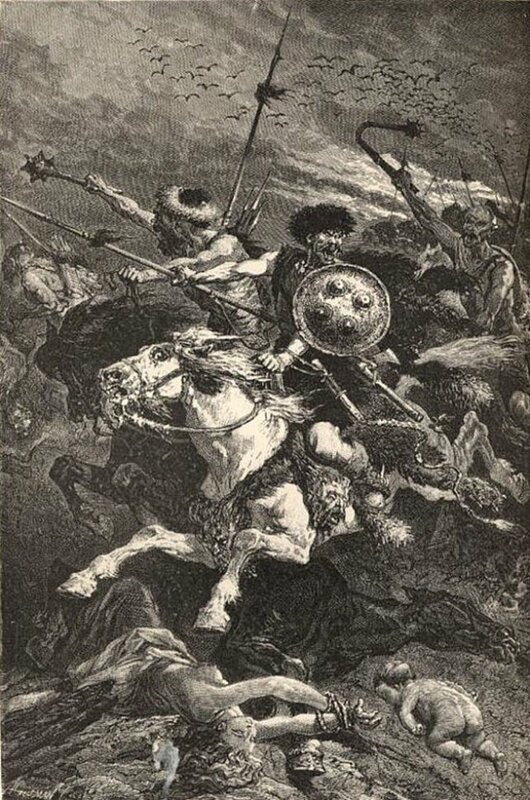 Loyal to the end, he would also perish at the LIttle Big Horn. Characters like George Custer have existed for centuries. Yet there is a more modern parallel to Custer. A man of ambition, boundless energy, equally poor grades and one who had a knack for getting into trouble with his superiors: General George S. Patton. Joining the cavalry right out of West Point, Patton quickly developed a reputation similar to Custer’s: an arrogant publicity seeker with a flair for the dramatic. It was said soon after World War II ended in Europe in May 1945, that peace would be hard on Patton. A man of such drive would get bored and probably talk his way into trouble. And he did. His deeds awed and his words angered. I think the same could be said for Custer. Could we have imagined it any other way? Custer the gentleman farmer or corporate executive is hard to fathom. Peace would have been hard on him. Donovan, James. A Terrible Glory: Custer and the Little Bighorn – The Last Great Battle of the American West (Little Brown 2008). Philbrick, Nathan. The Last Stand (Viking 2010). Utley, Robert. Cavalier in Buckskin: George Armstrong Custer and the Western Military Frontier. (University of Oklahoma Press 1988). 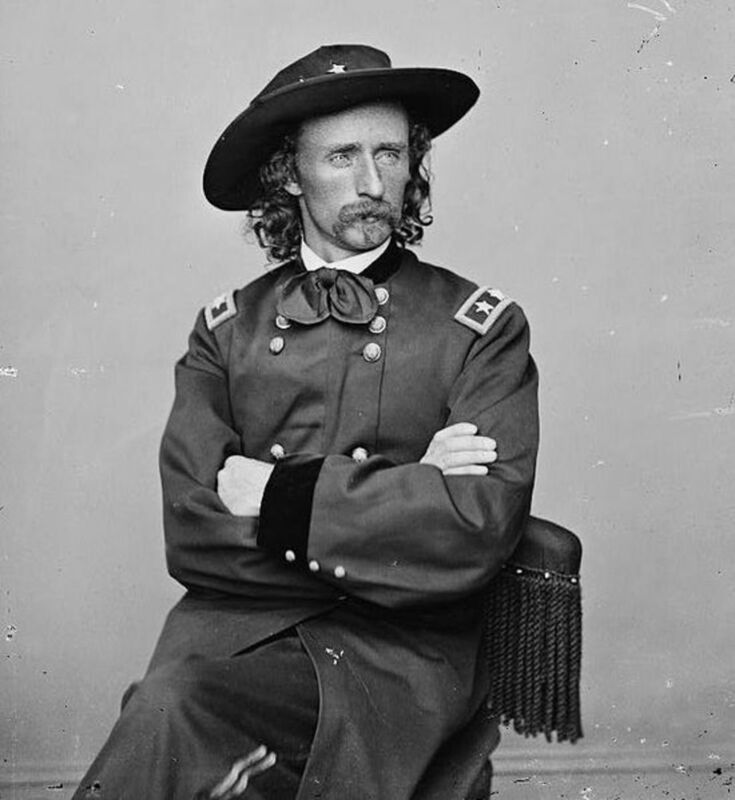 Wert, Jeffry D. Custer: The Controversial Life of George Armstrong Custer. (Simon & Schuster 1996). “Notes from the Capital.” New York Times. April 7, 1876. Via the King County Library database at kcls.org. “General Custer’s Testimony-His insinuating corn story: A complete examination in which Custer appears to little advantage.” New York Times. May 5, 1876. Via the King County Library database at kcls.org. 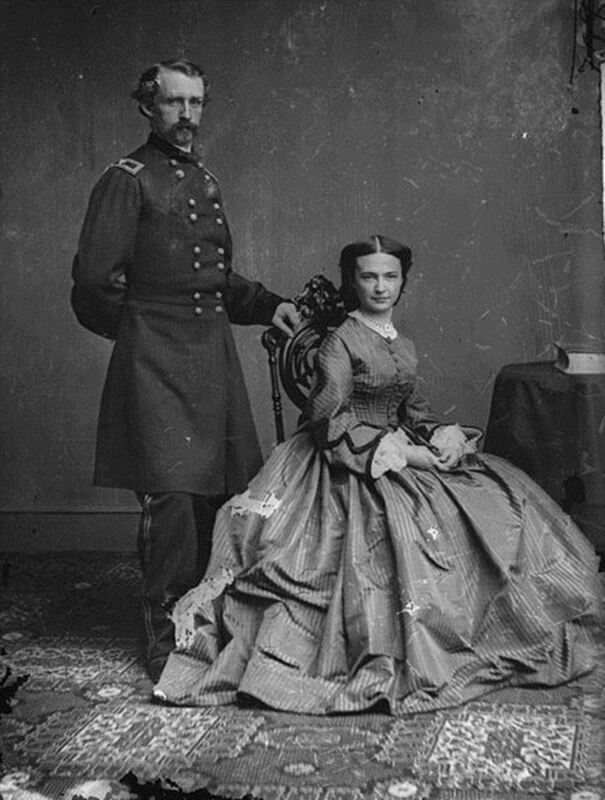 “Gen Custer and Gen Merrill.” New York Times. April 19, 1876. Via the King County Library database at kcls.org. These pics are great! It's always good to see some well preserved pictures from that long ago. Will Hutchison's book Artifacts of the Battle of Little Bighorn have some stunning photos of items of the day and from the battle. Very cool! No problem. I always try to read your articles. They are so informative. My husband served in Korea and Vietnam. He was in what they called special forces. Thx, NL. Always glad when someone stops by and reads this one. So many unknowns about Custer. Stay well. Thx, Tamara. Appreciate it. We always need to look beyond what we already know. Stay well. Thanks, Mr. Garrow. That means a lot. It's one of my least read, but favorite hub because I learned so much writing it. The one thing I was shocked to learn: Congresional hearings in 1870s were the same as they are today, mostly grandstanding. Stay well. This is amazing CJ, fantastically well researched and beautifully written. I've always thought Custer was a pretty interesting guy, but I've never heard a lot of what you cover here. Great Hub. Voted up. Hi Antonio. You can try starting here: http://cherokeeregistry.com/index.php?option=com_c.../. The other nations were the Choctaw, Muscogee, Chickasaw and Seminole. Not all of the nations stopped in St. Augustine. So you should be able to narrow it down eventually. I will keep looking. Hi Antonio. I know the Cherokee were a large majority of the Trail of Tears, although there were two other tribes from the area. I will check it out and get back to you. Thx Wilderness. That means a lot. I love to analyze decision-making in history and this was my first foray into that era. A fascinating analysis and obviously well researched. Thank you for a great read. Like so many others I knew of Custer and the Little BigHorn battle, but that's all. Virtually nothing of the man himself, and you have helped correct that situation. Thanks very much, Mr. Rankin. I can truly the say the word "gifted" and my name have never been used in the same sentence. So you just got my commenter of the year award. Very informative read. I had the pleasure of visiting the place of Custer's Last Stand. They used the description of Custer as "a man of his time." On that I respectfully disagree. There's a difference between being a man of your time ingrained with beliefs that don't seem PC today and being an arrogant jerk. I feel Custer was the Latter regardless of his time. Love the comparison of Custer to Patton. They both had their faults, but I still feel Custer is the more reprehensible of the 2. You are a truly gifted historian. Much appreciated, Frank. It's my least read, but I'm very proud of it. Stay well.